Here Are Some VoIP Features That May Surprise You - Digital Seattle Blog | Digital Seattle, Inc. | Seattle, Washington | Digital Seattle, Inc. The business community has embraced Voice over Internet Protocol as the accepted standard for exceptional communications. 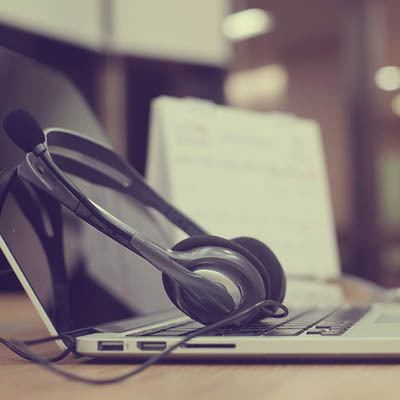 While there are countless benefits to using VoIP as your chosen communications tool, you might be surprised at how much can be done with them. In fact, you might even overlook some of the best features about VoIP! Many of the day-to-day features that you appreciate from your telephone solution can also be used through your VoIP system. They all sound familiar and offer similar services, but it’s the price point that really makes VoIP stand out amongst communications solutions. Furthermore, VoIP goes above and beyond these traditional features to offer even more functionality, though the extent depends on the individual VoIP provider. Aside from hold, call transfer, call forwarding, and call blocking, there are many, many more features that your organization can take advantage of. We’ll go over some of the best. Your employees need a phone system to conduct business, but they could potentially abuse the privilege, like using the phone for their own personal agenda. You can use outbound call control to make sure this doesn’t happen. This works by limiting which phone numbers can be called through the VoIP system. As long as you have the other party’s permission, it’s perfectly acceptable to record business calls made by your employees. You might remember calls that you’ve made that were “recorded for quality assurance purposes” or the like. These calls allow businesses to be much more consumer-friendly, as they can be analyzed to determine the effectiveness of procedures and operator effectiveness. VoIP solutions often come with these features, allowing organizations to best take advantage of the tools at their disposal. Your business will inevitably receive calls that aren’t welcome, and you can use VoIP to block these before they become too big of a problem. VoIP keeps the calls from even making it to your employees, keeping them from wasting their time and energy on calls that aren’t productive for your business. 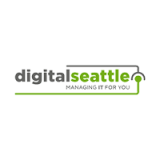 Digital Seattle can help your business implement VoIP. To learn more, reach out to us at (206) 709-9556.